Shipping: Usually Ships in 1-6 Weeks; Contact our Customer Solutions team with your ZIP code for more info. Conveniently store your refrigerated ingredients and speed up food preparation time with this Turbo Air TCBE-52SDR-E-N 52" refrigerated chef base with extended top! Its durable stainless steel top is extended 6" wider than the standard model to give you a spacious, rugged workspace that will hold up to everyday working conditions. Chef bases maximize the space in your kitchen and increase efficiency by allowing you to place countertop cooking equipment right on top of the chef base where you store your cold ingredients for a streamlined, convenient kitchen operation. This base features a heavy-duty work top with a 788 lb. weight capacity. 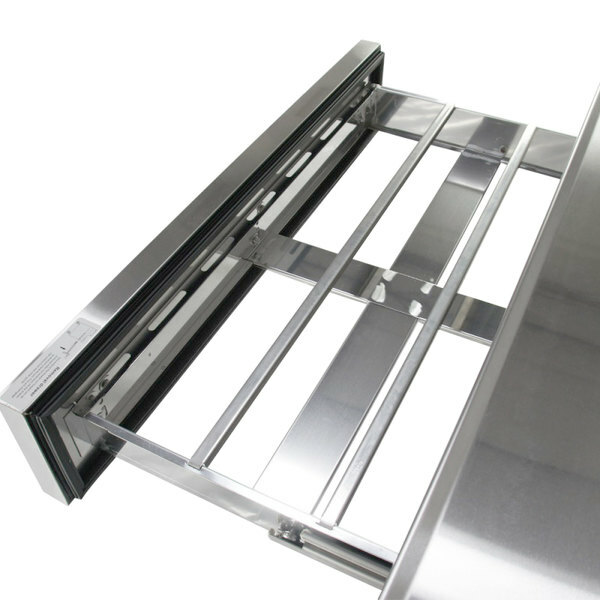 The work top is made of insulated 16-gauge, type 304 stainless steel to help minimize heat transfer to the inside of the cabinet and provides ample space for countertop cooking equipment like fryers, griddles, or charbroilers. 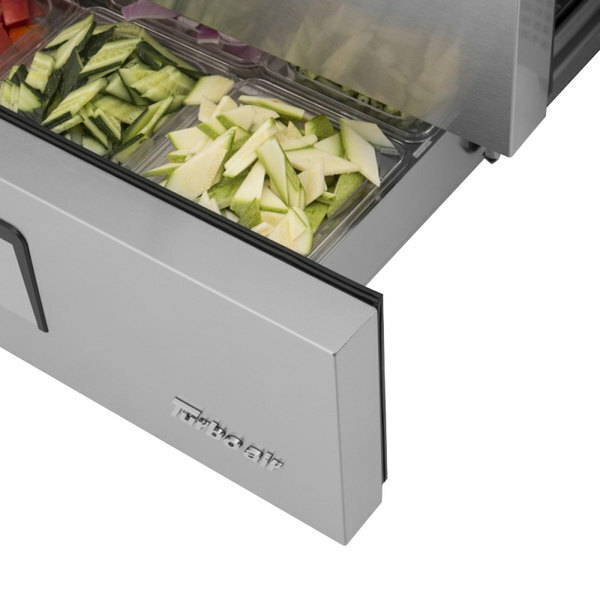 The chef base's 2 drawers can each hold up to 4" deep 1/6 size pans. 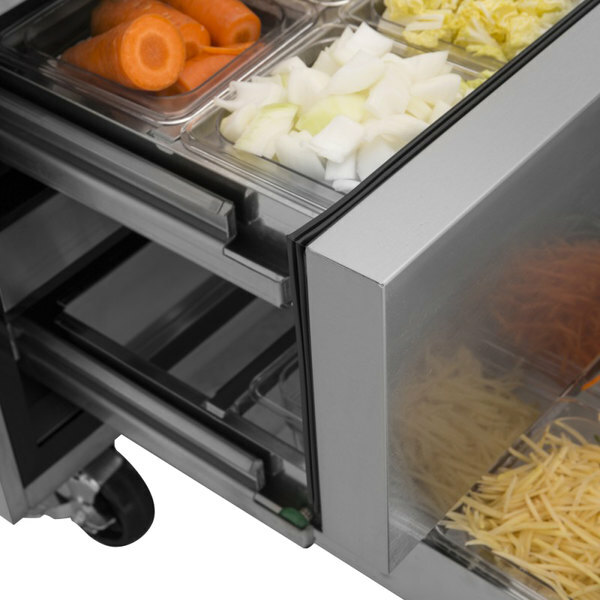 Because chef bases can accommodate a variety of cooking equipment, you can arrange meats, cheeses, and vegetables in the drawers so you have everything you need to prepare cheese steaks, hamburgers, and breakfast sandwiches. This unit also uses Turbo Air's revolutionary self-cleaning condenser system, which automatically cleans the condenser by moving a rotating brush up and down across its surface 2-3 times per day. Not only does this process eliminate the need for your employees to manually clean the condenser every few weeks, but it prevents dust from building up on the coils. In turn, this reduces the stress on the compressor and the risk of it breaking down, resulting in fewer maintenance calls and higher overall energy efficiency. 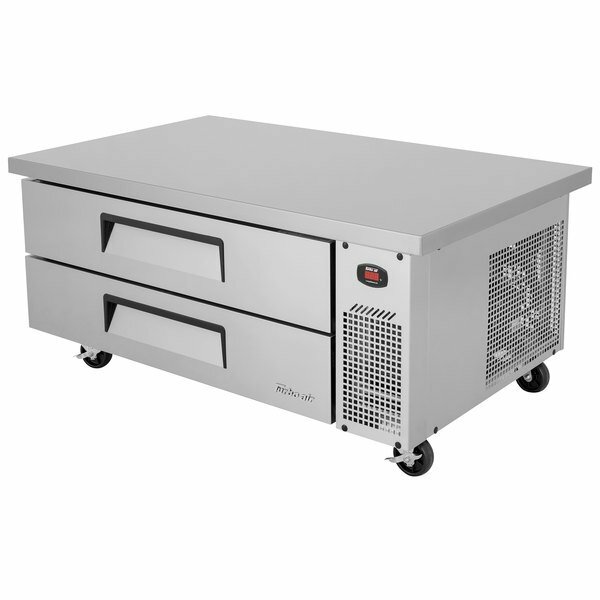 This chef base has a powerful 1/4 hp compressor that runs on eco-friendly R290 refrigerant. This specialized refrigerant has an ozone depletion potential (ODP) of 0 and a global warming potential (GWP) of 3, making it an environmentally-responsible choice for your business. The CFC-free polyurethane insulation helps increase the overall energy efficiency and structural integrity of this unit for a long-lasting addition to your kitchen. 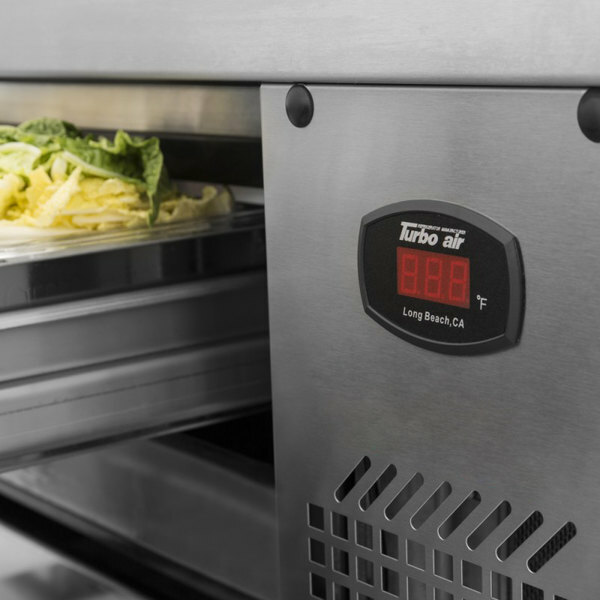 Unlike most refrigeration manufacturers, Turbo Air ships this unit with a package of casters, giving you the option to make your unit mobile if it's beneficial to your kitchen floor plan. This unit requires a 115V electrical connection. Beverage-Air WTFCS84D-1-89 89" Four Drawer Freezer Chef Base - 17.5 cu. ft.